A truly special Easter Experience, we have a selection of Bears and Easter themed teddies for your child to make with our team. The first step is to choose your super soft teddy tastic friend from our selection, next is the important bit to add the stuffing, while keep doing the cuddle test to check when your new friend is just perfect for you. We will add a magic wishing heart to our bears, but not before we give it a magic kiss and make our secret wish, once our bear is all sealed and our wishes are safely locked inside its time to name your bear. We have special birth certificates to fill out with all the key information about your bears. Your Teddy Tastic host will be on hand to help create your bears and make the process lots of fun, we will have some little surprises along the way to make the experience extra special. Your ticket also includes farm entry to enjoy our Easter EGGstravaganza event from 10am until 5pm, you can enter the farm at any time from 10am regardless of your chosen session time for the Build a Teddy Tastic friend. We have a choc-a-bloc programme of Easter Fun on offer including Meet the Easter Bunny and join in his Party Games, Magic Shows, Bottle Feed Lambs, Cuddle a real Easter Bunny or Chick and much more. 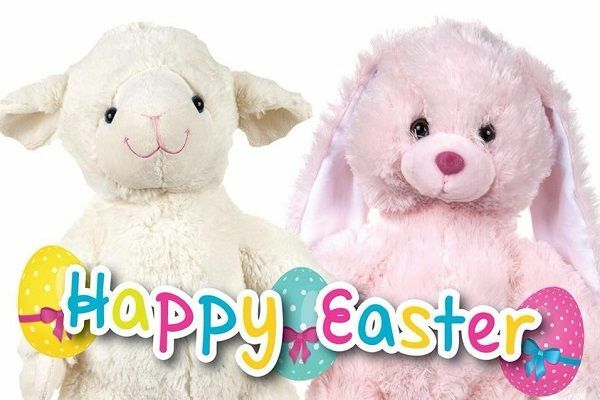 Please note the RRP for the plush 16" bears/Easter friends is £16.99 and entry is £9.85 for a child so this really is a great value experience.